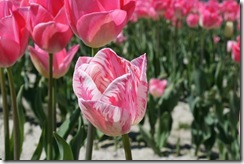 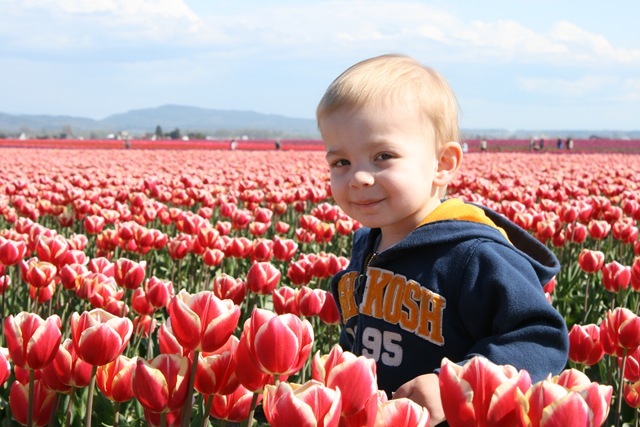 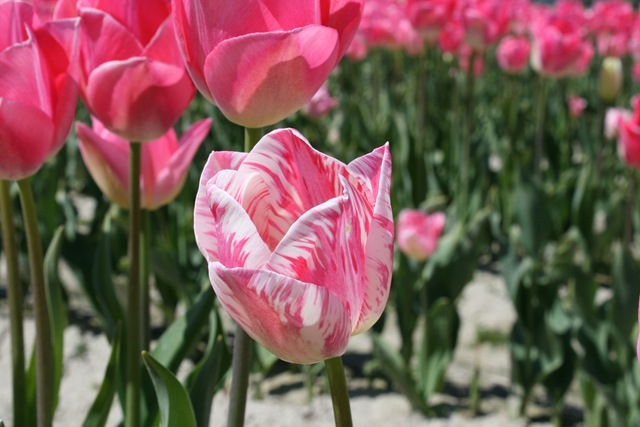 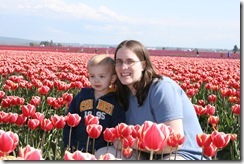 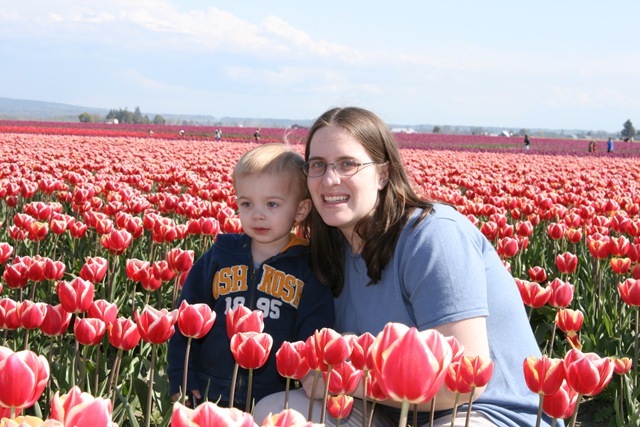 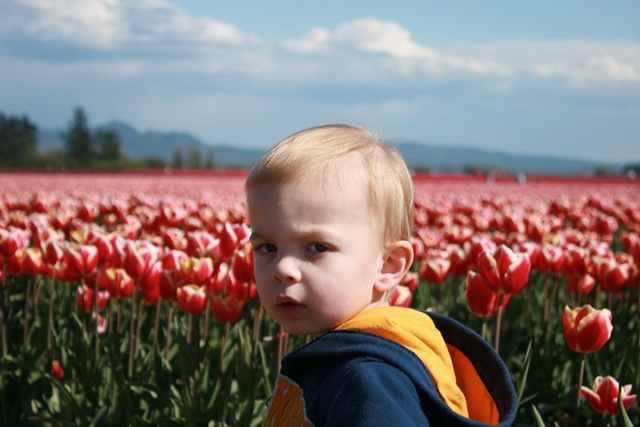 This post is chronologically backwards because I’m more excited to share this years Tulip Festival pictures, than the boring happenings of everyday life. 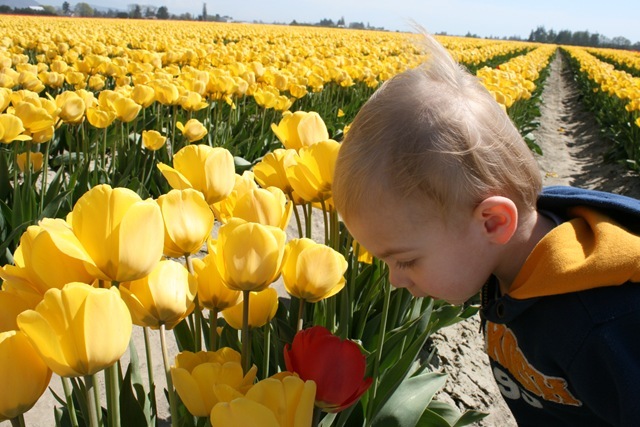 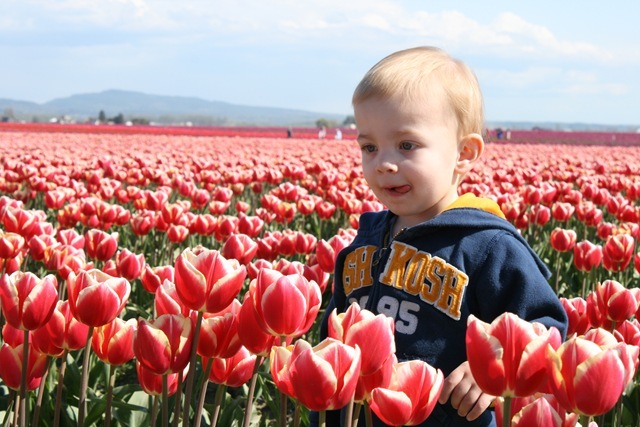 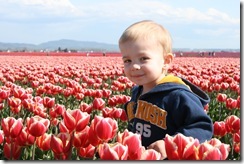 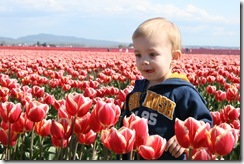 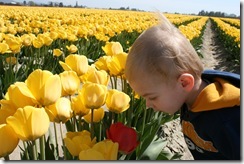 Though it looks like he’s intelligently contemplating why a red tulip would be among the yellow ones, this is actually as close as he would get to “smell” them. 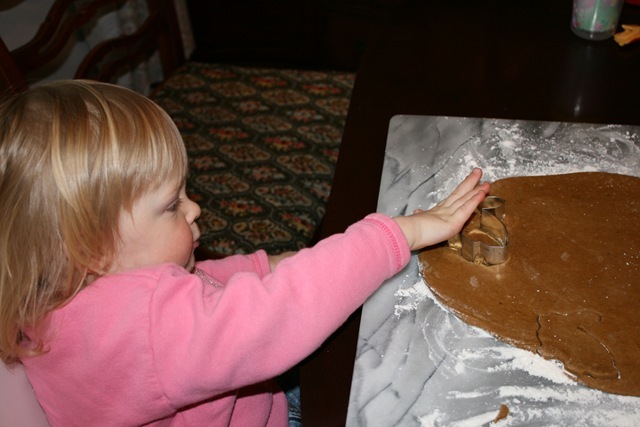 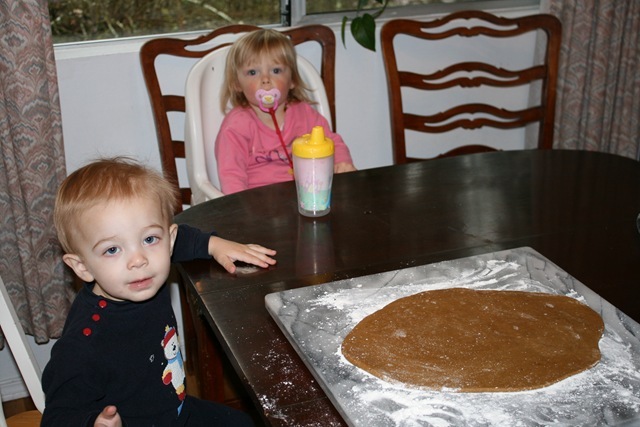 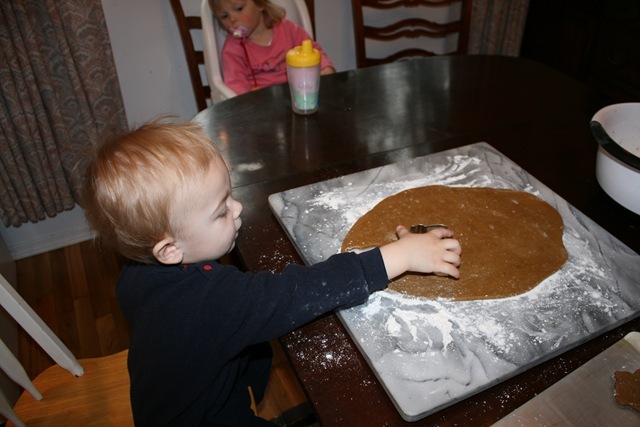 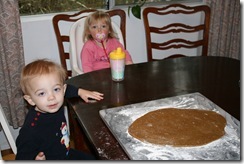 Nathaniel and Samantha and I made cookies for Easter. 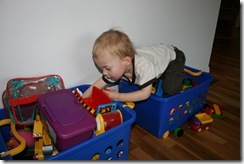 And, our typical silly boy, always coming up with ways to make us laugh! 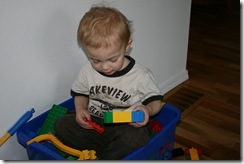 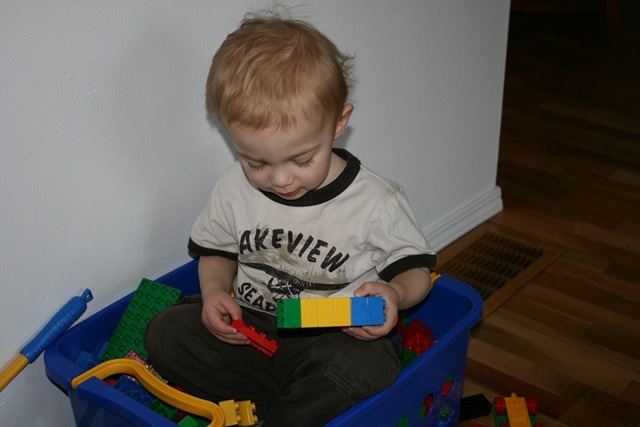 He crawled into his basket of Legos in order to play with them, without any prompting. 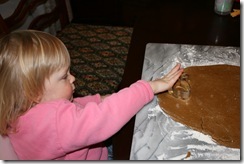 You’ll be glad to know this doesn’t end like I would predict. 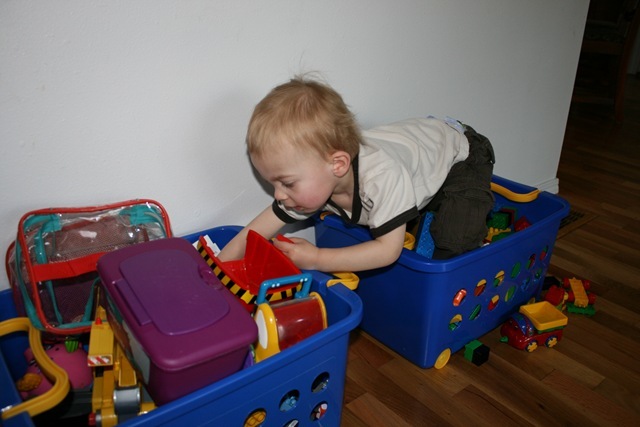 He didn’t actually fall, just got the toy he needed from the other bin and sat back down!